After receiving an overwhelming response on its opening day, Aamir Khan’s Dangal showed great jump on its 2nd day (1st Saturday) at the Chinese box office. The biographical sports drama has collected around $ 4.17 million yesterday and now stands with the grand total of $6.25 million (40.20 crores). Aamir Khan has enjoyed great fan following in China in the past. His last venture PK, which collected under $ 1 million on its opening day, went on collect $ 20 million in its theatrical run and grossed over 100 crores in the Chinese market. 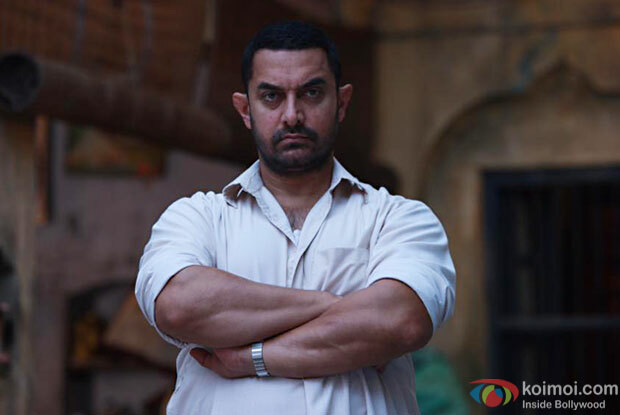 Dangal also holds the record of Highest Bollywood Grosser at the domestic market with the whopping collections of around 388 crores. The film revolves around an inspirational story of former Indian wrestler Mahavir Phogat, who trains his daughters Geeta and Babita to become world-class wrestlers. On the work front, Aamir Khan will next be seen in Secret Superstar, where he’ll portray the character of a music composer in an extended cameo. The film will be directed by Advait Chandan and produced by Aamir Khan and wife Kiran Rao. Secret Superstar stars Zaira Wasim and Meher Vij in key roles and is expected to hit the screen during the Diwali weekend. The post Dangal Shows Great Jump On Its 1st Saturday At The Chinese Box Office appeared first on Koimoi.